In our professional lives, most of us won't ever be asked to wrest back a plane from terrorists or rush into a relief zone just decimated by a hurricane. Yet, in today's fast-paced and competitive business climate, we are confronted daily with situations in which the risks are considerable, the information incomplete, and the stakes high. In a world where global competiton is fierce and industries are being disrupted overnight, success in business requires a new style of leadership. It requires seeing clearly when others are blinded by fear. Listening to every viewpoint--then making the call and owning it. Recognizing the need to take risks, but never foolhardy ones. Realizing that inner strength is not about bravado but preparation and analysis. 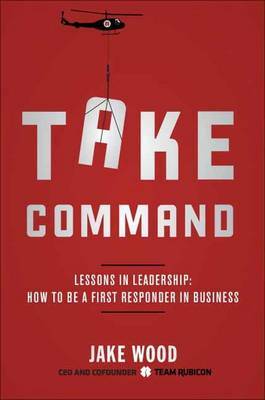 In the bestselling tradition of It's Your Ship (over a million copies in print), Wood applies these leadership lessons--gleaned from the front lines of Iraq, Afganistan, and the disaster zone, as well as from running an organization widely lauded for its innovative management style and superior approach to teamwork--to today's high-stakes business environment.